SUPER EARLY BIRD: SAVE $300! and the call of your heart. The Embody Flow 200-hour Embodied Leadership and Yoga Teacher Training is a transformative initiation which deepens your ability to inhabit your body and your full energetic presence, both personally and as a teacher/leader/guide. We emphasize Yoga as a heart-centered path of coming home to your body — which empowers and heals. We believe that Yoga offers a direct solution to violence, abuse and trauma by empowering us with full presence and awareness, and inhabiting our present-moment choices. We believe that collectively, the world is calling for this depth of healing and because of this many are feeling the call to step into their own self-healing and leadership to guide the path of healing for others. We set the stage for this evolution by creating a safe, loving, diverse container for you to engage in discovery of the mystery your self and of Yoga, while connected with yourself and within community. We see a lack of diversity in Yoga in North America and as a result, that many people do not feel welcome or encouraged to pursue Yoga. We actively value diversity, welcoming people of all body shapes, sizes, abilities, ages, sexual orientations, gender identities, races, ethnicities and socio-economic backgrounds. We encourage people of colour, first nations, people over 60, larger-bodied Yogis and people in the LGBTQ community, as we see these communities as underserved audiences where there is a big opportunity for new teachers to make an impact. 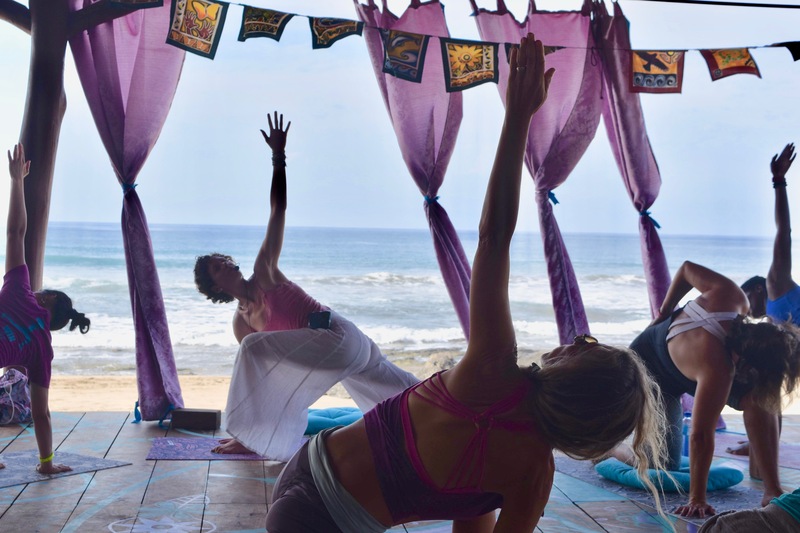 This October 2019, we gather for the Embody Flow Training on the Beautiful (and little known) Beach of Troncones, MEXICO. It’s a magical, spiritual hub with daily, stunning sunsets and open-air spaces that catalyze living in the flow state. Your evolution will be supported by a carefully planned menu of simple, delicious foods to nourish you, prepared with love by the beautiful soul, Janet. With the expert and caring guidance of Rhonda Mills, you will be invited into two sacred initiations…a life-changing shift in stepping deeper into your role as an embodied leader and Yoga teacher. Rhonda is a joyous free spirit who has led Yoga Teacher & Facilitator Trainings for nearly a decade. She creates a space of compassion, freedom, and wondrous discovery. After a career performing internationally as a dancer and teaching dance technique, Rhonda dived into yoga in 2000, and in 2003, was initiated into the tradition of Sri Vidya by Pandit Rajmani Tigunait of the Himalayan Institute. 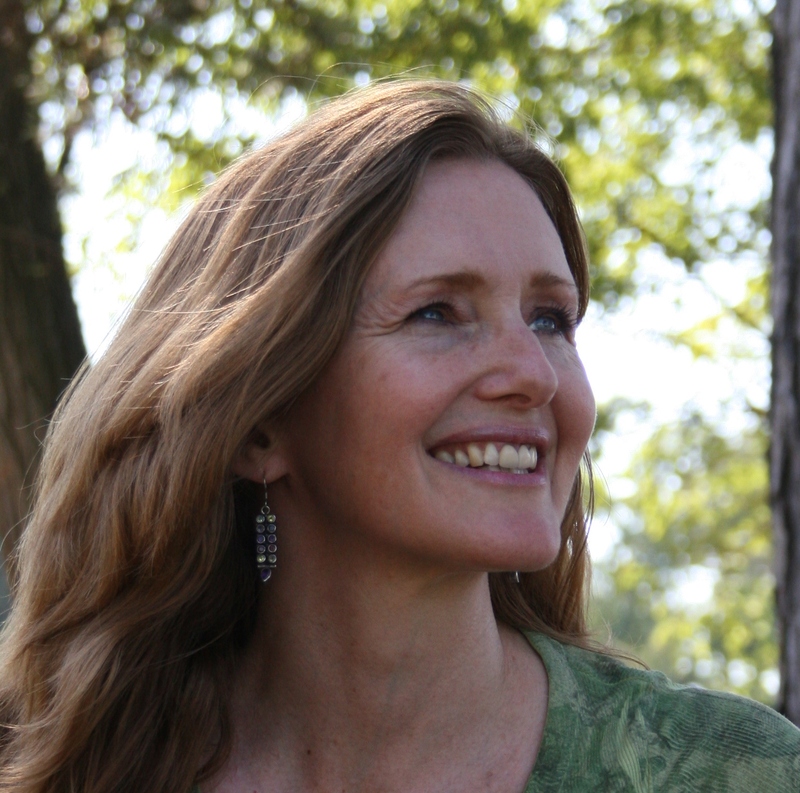 She is steeped in Rod Stryker’s Parayoga, conscious living with Kathlyn Hendricks, PhD. and Nonviolent Communication. After a personal encounter with domestic violence, Rhonda’s calling to share yoga as a solution to violence and a means of empowerment ignited. This training is a response to the urgent call she feels to initiate leaders into their empowerment and spread the healing light of yoga. The Embody Flow 200-hour Training creates a collaborative and supportive community, a space where you can relax and open up to your evolution both personally and as a teacher/leader/guide. We see the journey of becoming a Yoga teacher as one of awakening, profound transformation and radical self-discovery alongside others who bring similar intentions. We facilitate the space to foster a collaborative, learning community which is focused on uplifting everyone. Throughout the training, you will be encouraged and supported to step into your own power and discover your gifts to share the essence of Yoga, in your own true voice. For three weeks, you will be immersed in a yogic way of being and supported to deepen your understanding and integration of the philosophy, science, and practice of Yoga. If you are wondering whether this is a Yin or Vinyasa or Hatha training, the answer is Yes! The scope of Tantric Hatha Yoga (from the Himalayan tradition of Sri Vidya) is a vast umbrella, which includes many styles of asana such as classical Hatha, Vinyasa, Yin, Restorative, Power. Beyond asana, it also includes other practices, such as Bhakti, Kundalini, meditation, mudra, nidra, chanting etc. The underlying philosophy is that Yoga is a Medicine, and that each style, ease pose, and each practice within Yoga bestows a very specific qualitative result. When we understand ourselves and what we need, and understand the specific quality that each aspect and style of practice creates, we can do the right practice in the right way at the right time to support ourselves. As a teacher, you will be supported to move into the styles and approaches that resonate with you. The evolutionary journey doesn’t stop after our immersion together, but ripples out into more joyful, meaningful and empowered relationships and life when you return home. We stand on the 3 strong foundations of the Evolutionary Yoga Collective to support you to: teach authentic, impactful Yoga classes grounded in ancient wisdom traditions, ground yourself and your work with practices which are trauma-informed, mindful, and supported by science, and share your gifts related to your particular area of strength and focus. All of our programs meet Yoga Alliance standards for teaching methodology, anatomy, yogic theory and special education. We are committed to certifying competent and confident Yoga Teachers that we are proud will fly the banner of The Evolutionary Yoga Collective. We want you to feel confident and capable as a teacher and to have plenty of time to practice and integrate what you have learned. To this end, our training includes integration support after our immersive three weeks together including: 3 Monthly Integration Group Calls, two written assignments, required reading, teaching practicum and an essay-style test. We collaborate with you generously to support your successful completion of the training with ample time so that, if you are willing, you walk away a Certified Yoga Teacher 200-hour with the Evolutionary Yoga Collective. Your journey requires dedication, ongoing studentship, and a willingness to open to the creative impulse of life and the living teachings of Yoga. If you are passionate about Yoga, and want to deepen your practice, your embodied leadership, and / or share Yoga with others, we invite you to join us. Connection to the ancient origins and modern innovations of Yoga. A healthy respect for what you don’t know in the huge scope of all that Yoga is — Yoga is vast! Deepening appreciation for and expression of your unique gifts. Passion about your personal evolution and your impact as a Leader. A connection to the Evolutionary Yoga Collective Sangha (spiritual community) that continues after the training. Great habits of self-care and support to sustain them when you return home. We support you to inhabit your body in a friendly way and to release culturally conditioned shame so you can discover the sweetness of enjoying and honoring your body. You empower yourself through inhabiting your body from the inside, and increasing pleasure as you honor your body and yourself just as you are in the moment. As you do so, you are teaching/leading through example. Your body itself is a teacher. We support you to befriend your emotions with kindness and to cultivate a steady and easeful energetic container to allow your sacred energies to move. You are empowered to cultivate energetic balance, and enhance your vitality, enjoyment and pleasure. The 4 Embodied Leadership Elements support us to align with our natural human impulse and release unnecessary overwhelm and pressure that often accompanies personal evolution so that learning is friendly and fun! UNDERSTANDING is the intellectual framework (head knowledge) that you will need to be an evolutionary leader and guide. This element includes learning about: anatomy, movement mechanics (physiology), philosophy / history, trauma. EXPERIENCING takes you inward and develops your capacity to notice and attune with what is going on inside. The focus is on gaining a first-hand, subjective perspective. This way, the information you are learning enters into your bones. EXPRESSING naturally complements your capacity to experience, and allows your experience to flow through. This element is practiced through movement, creative expression, opportunities to share in circle or partners,. GUIDING practices begin to concretize your skillful expression of sharing generously with the world, and is a natural outgrowth of understanding, experiencing, expressing, igniting your soul gifts to discover how they want to dance in the collective. Villa Milagro also known as ‘House of Miracles’ is one of the most luxurious properties in Playa Troncones, Mexico. Sitting solo on a secluded beachfront cove, it is a fully enclosed paradise that is as serene as it is secure. The villa consists of thatched roof architecture and is mostly open-air to give you the feeling of being immersed in nature. Practice yoga in an oceanside, open air platform and cool yourself in the infinity pool. Revive your energy with a sunset walk, and dine on mouthwatering gourmet cuisine. Some keywords to describe Villa Milagro are: quality, luxury, sensual, beautiful, serene. Read all about it on the Villa Milagro Website. Or, see what previous guests had to say on Trip Advisor. SPACE IS LIMITED TO 10 SPOTS ON SITE, BOOK NOW! is a stand-alone training which initiates participants into the 2 outer Koshas. which includes Sacred Initiations of the 3 deepest Koshas. We intend to offer the next training for the 500-hour (3-week Sense & Intuit Immersion) in May, 2020, and the final Dream Immersion in Winter, Early 2021. Read all of the Above and you Still Have a Questions? Drop us a line. Join us for Evolution in Community. Space is Limited. Only 10 Spots On-Site.